We have three major fundraisers at Lunada Bay, Dolphin Dollars, The Fun Run, and the annual Parent Social Fundraiser. Our district receives less money per pupil than 95% of other California schools. In order to provide quality education, we rely on parents to help supplement these programs. The primary fundraiser of Lunada Bay PTA helps supplement and support students' education by raising almost half of the funds needed for the programs and purchases needed. Thanks to you, the PTA spends over $525 per student! In order to continue funding these worthwhile programs, and investing in advantageous educational tools, the PTA asks every family to make a suggested donation of $350 per child. PTA gratefully accepts donations of any size! Donations are tax deductible. Lunada Bay Elementary is a 501(c)(3) with tax ID#95-6206569. Many companies match your donation! See if your company is on this list and contact HR for donation matching forms. Family members sponsor students to do their personal best as they run laps around the track. It is a fun-filled event where team spirit is encouraged. This adult only party brings our community together for a silent and live auction. It's a great time to catch up and support essential programs like Fine Arts and Science. 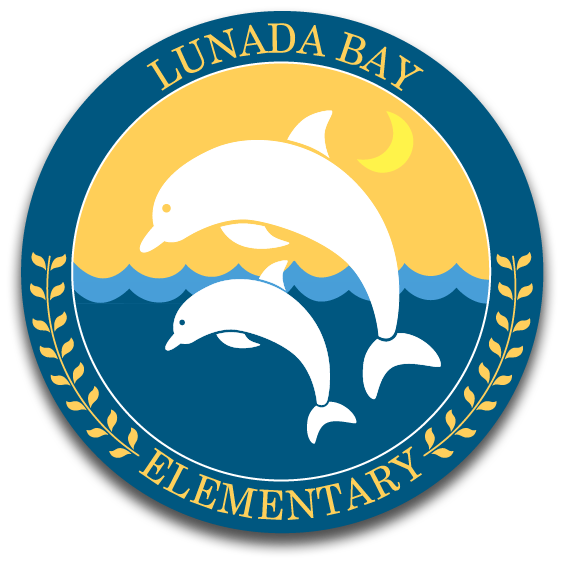 For other ways you can support Lunada Bay through purchases visit our School Rewards page. *The Variety Show is also a fundraiser, but the proceeds go to the Peninsula Education Foundation, which provides our PE, music, and library teachers.